Do you know someone with the skills and interests to become the next regional director for the province of Alberta, Manitoba, Ontario, Nunavut or New Brunswick on the Paddle Canada Board of Directors? We are accepting nominations now until March 12, 2019. Please note that current directors for Alberta, Lana Ohler and New Brunswick, Jeremy Cline, are up for re-election and willing to serve another term. As a matter of courtesy we are still announcing the opportunity for these two provinces. 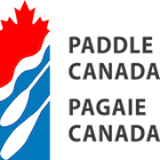 The candidate should be active in the outdoor or paddling community in their region and have the desire to represent paddling member interests in their province or territory. Other experience with business, management, policy making, financial or law are desirable to help the board team with their strategic decisions and planning from a national organization perspective. This position will be for a 3 year term (except Ontario for 2 year interim director term). You must be a member in good standing for 2019 to nominate a director (two members are required to nominate). The obligation form and nomination form along with more information on the election process can be found here. Paddle Canada President’s 2018 Year End Report2019 Blackfish Paddles Are Ready for Ordering!